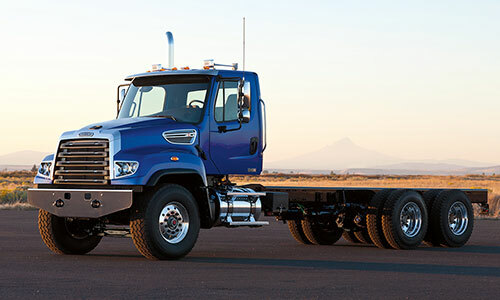 Featuring clear frame-rails at back-of-cab for easy upfit, with under-cab mounted batteries and fuel tanks, and one of the lowest chassis heights available for roll-off bodies, Freightliner® severe-duty roll-off trucks are a hardworking, dependable choice. 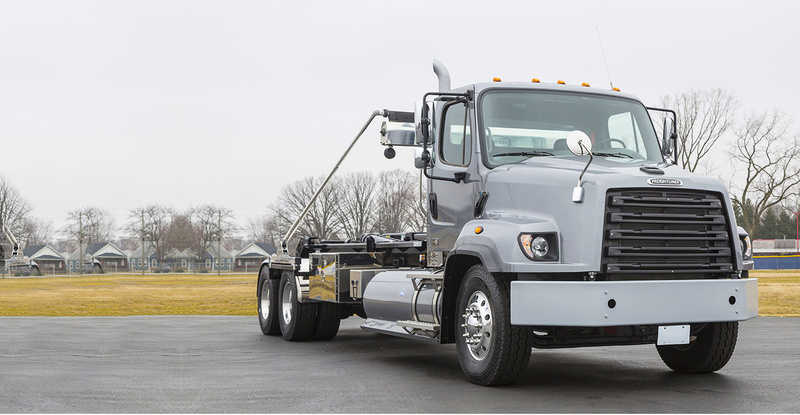 With best-in-class visibility and up to 50-degrees of wheel-cut, the toughest job sites and tightest urban collection routes are easily navigable. 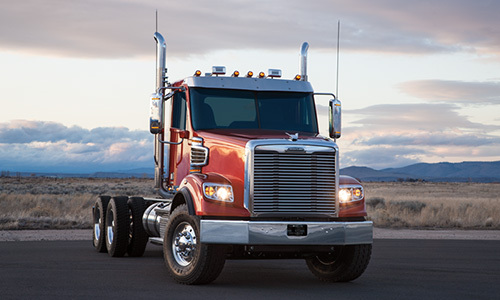 Offering up to 600 horsepower, a wide range of vocational rear suspensions and multiple PTO options, Freightliner® trucks are an all-day solution for working smarter.